On Monday, at the fourth annual MLK Now event, which honors the legacy and birthday of Dr. Martin Luther King Jr., journalist Jemele Hill hosted a celebration that included performances by award-winning artist Common, Blackkklansman actor John David Washington and musician Samora Pinderhughes. Add MLK as an interest to stay up to date on the latest MLK news, video, and analysis from ABC News. A panel composed of activists, religious leaders and athletes, at the historic Riverside Church in Harlem, New York, also discussed a variety of topics including voting rights and NFL players' kneeling during the national anthem. 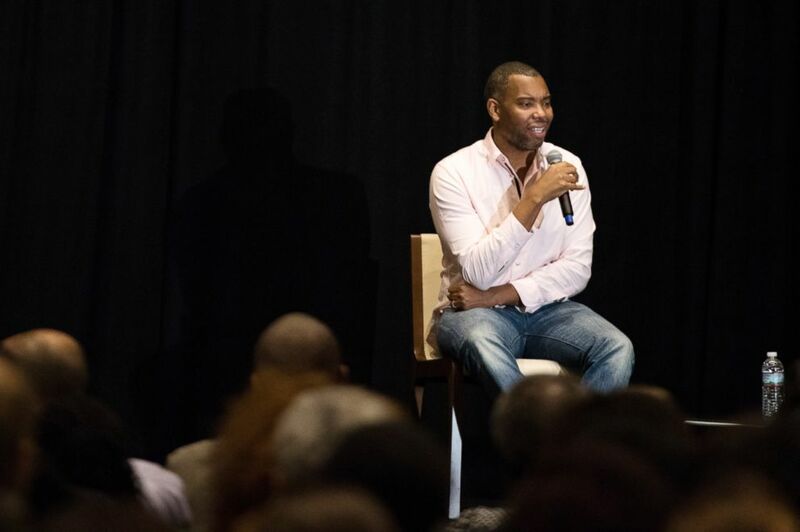 But the stand-out moment of the night was a special conversation between award-winning author and journalist Ta-Nehisi Coates and freshman Congresswoman Alexandria Ocasio-Cortez. The first time the two have shared the same stage, Coates began the conversation by saying when he was asked who in the political scene today embodies King's radical vision, he believed it was Ocasio-Cortez. "The real issues of our country do not belong to a party, they are baked into our culture," Ocasio-Cortez said, discussing the first time she truly felt aware of her racial identity. Growing up in a white community in the Bronx, and later attending school in a liberal, affluent suburb, Ocasio-Cortez, the daughter of a domestic worker, said she was the only Puerto Rican in her classroom. Coates didn't beat around the bush, telling Ocasio-Cortez straight up that she needed to address a lack of general knowledge surrounding many of her proposals. 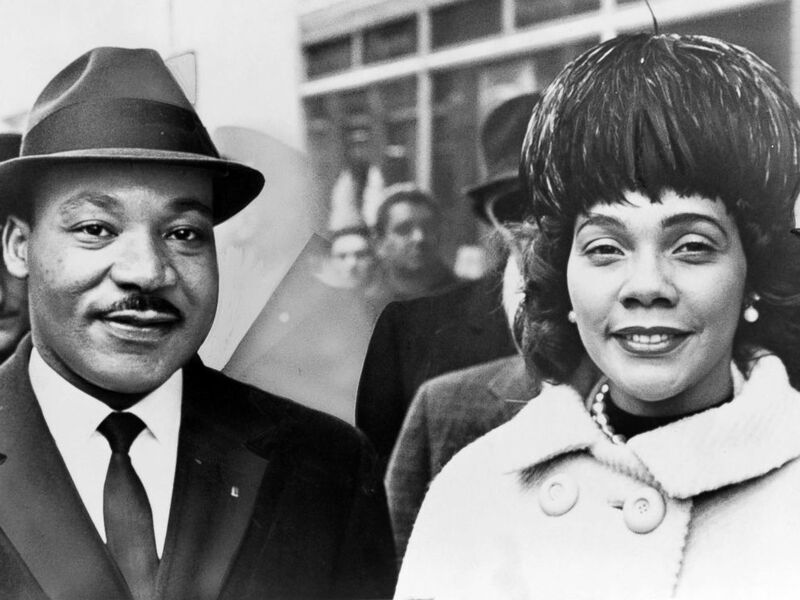 Dr. Martin Luther King and his wife Coretta Scott King pose for a portrrait in 1964. Her response alluded to her upbringing, with a mother who taught her the importance of not paying too much attention to others' criticisms. Ocasio-Cortez said she knows it's a deliberate strategy to attack her, the messenger, so it discredits her message. She added that the way she's being treated is not unlike a few of the criticisms lobbed at King in the 1960s. Letters have surfaced as some of the strongest evidence that details the covert efforts of the FBI to discredit King and his movement. FBI Director J. Edgar Hoover believed King was a threat to the social order and that he was influenced by those he surrounded himself, including communists. "It's when he started to get into this economic message that things started to get very dangerous for him," Ocasio-Cortez said, while pointing out that the church in which they were currently speaking is where King gave his famous "Beyond Vietnam: A Time to Break Silence" speech in 1967, which startled many supporters and led to a rift with the NAACP. Still, the speech is considered a turning point in public opinion toward the Vietnam War. Similarly, King's "Mountaintop" speech, delivered the day before he was assassinated in Memphis, Tennessee, drew attention to economic inequality, as he already was in town to support striking African-American sanitation workers. 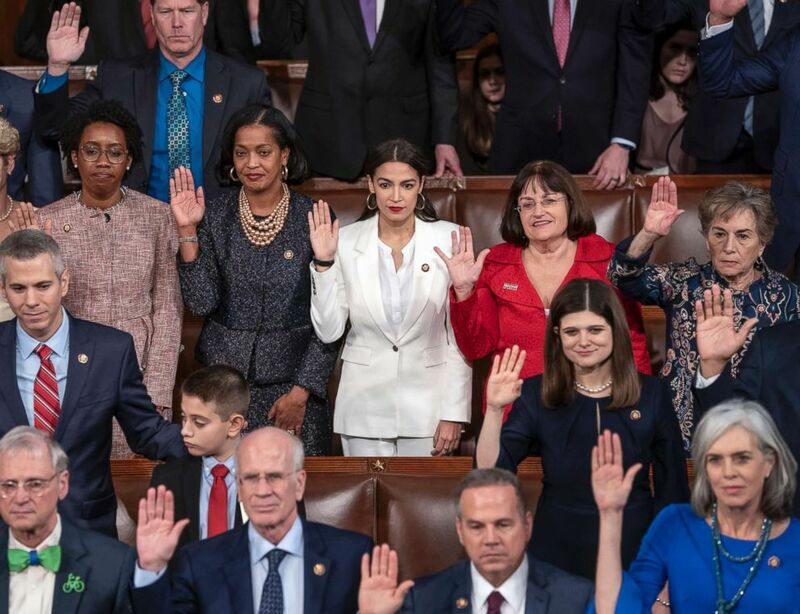 Rep. Alexandria Ocasio-Cortez, center, a freshman Democrat from New York, is flanked by Rep. Jahana Hayes, D-Conn., left, and Rep. Ann McLane Kuster, D-N.H., right, as they are sworn in at the U.S. Capitol, Jan. 3, 2019. King's perceived radicalism is what made him a target. Ocasio-Cortez told Coates it's not surprising to see many in the U.S. returning to the tactics of criticizing those "who speak truth to power." Coates responded by asking the congresswoman to respond to criticism of her plan to increase the top marginal tax rate, on income of more than $10 million, to 70 percent. "Where do we draw the line in terms of our excess?" said Ocasio-Cortez, questioning how it's moral to live in a world with billionaires while other people are struggling through poverty. Ta-Nehisi Coates speaks at The Smithsonian National Museum of African American History and Culture in Washington, Oct. 10, 2017. "The task of the movement today," Coates said, referring to Franklin D. Roosevelt's New Deal, and how it wasn't a great deal for everyone, "is to craft one that argues for a better world, one that argues for a state that tries to make for just outcomes." When considering issues including the criminal justice system, immigration and education, younger voters and activists are hungry for change, and that change begins with understanding our shared past, Ocasio-Cortez said. "Until America tells the truth about itself," she added, "we are not going to heal." Ta-Nehisi Coates and Alexandria Ocasio-Cortez discuss Martin Luther King Jr.